There is a growing imperative for charities to become less dependent on grants and government funding, and a move to become more self-sufficient. This tends to be a subject that divides opinion, but whichever way you look at it, charities of all sizes can benefit greatly by getting more supporters, more exposure, and more donations online. The good news is that the internet offers a wealth of opportunity for even the smallest charities to bolster their online fundraising efforts, and research shows that not nearly enough charities are tapping into this resource. 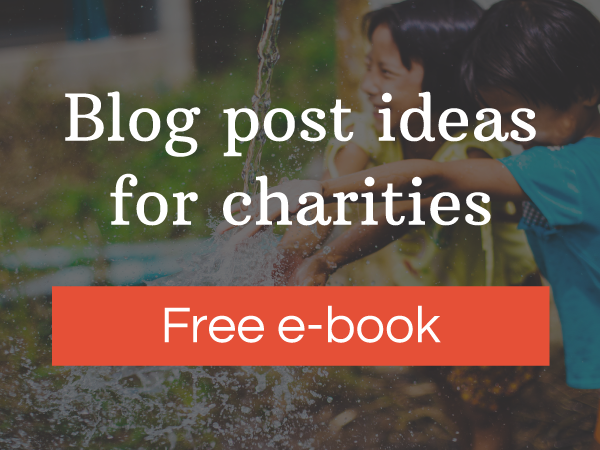 Here we look at a number of ways that charities can use their website, and wider digital presence, to generate important revenue. It’s now pretty easy to setup a basic online store. If you, like many charities, have branded merchandise such as mugs or t-shirts, setting up an online store selling these items could provide a small revenue stream for your charity. It shouldn’t be tough to find a designer (who may even work on a pro bono basis) and a local printer who can print and post your merchandise for you. If your charity organises fundraising events, such as a charity ball, abseil event or business networking meetup, you can sell tickets to attendees either through a system like Eventbrite or via your own website. Getting the price right can be tricky – too much and people won’t buy, too little and you risk not making enough or covering your costs – so as with anything, selling event tickets is a trial and error process. But once you hit your stride, putting on regular, ticketed events can provide a good income stream for your charity. Asking for donations on your charity’s website is a no-brainer, but a simple trick that so many miss out on is showing people how their donation will be spent. If you can tell a compelling story interwoven with facts and figures, you stand a much greater chance of earning a new supporter. Along with merchandise your charity might also be able to sell digital products. For example, you may provide training guides, research or other publications that other organisations need, and the perfect place to sell these is through your own website. Even if you don’t sell these resources for money, you might request a visitor’s contact details in order to obtain your publications; this enables you to build a database of prospects which you can contact again at a later date. Charity Miles – repurposing advertising budgets into charity donations when people track their exercise activity through the app. By registering with these companies – and others like them – you can develop a steady and mostly-passive stream of charitable income helping you to boost your fundraising and plan for the future.